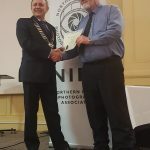 Whilst NIPA was formed in 1967, there were considerable photographic activities in the province prior to this date, which ultimately led to its formation. There are four clubs still in existence that predate the Association. The YMCA, formed in 1889 and reputed to be one of the oldest camera clubs in the British Isles, is now known as the City of Belfast Photographic Society (CoBPS). 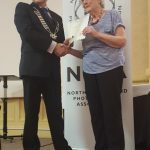 CPA formed in 1906, then called the Central Presbyterian Association Camera Club, followed in 1956 by Christian Brothers Past Pupils Union Camera Club (CBPPU) and in 1961 Bangor Camera Club … Competitions were organised and each club had annual exhibitions which attracted new members. Print battles between clubs were organised and today CPA still has an annual print battle with both CoBPS and CBPPU. 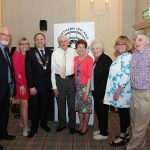 The weekend began with the first viewing of the Archive Exhibition, a collection of 100 images, both colour and monochrome, selected to represent the past fifty years of the Association. This 100 prints included nine from CPA, with images from past members Peter Hayes, Will McCrum, James Walker and Norman Wilson (covering 1978 to 1991) as well as images from our current members Vittorio Silvestri, Louise Borbely, Robert Sergeant, Paul Hanley and Ernie Patterson (covering 1998 to 2016). 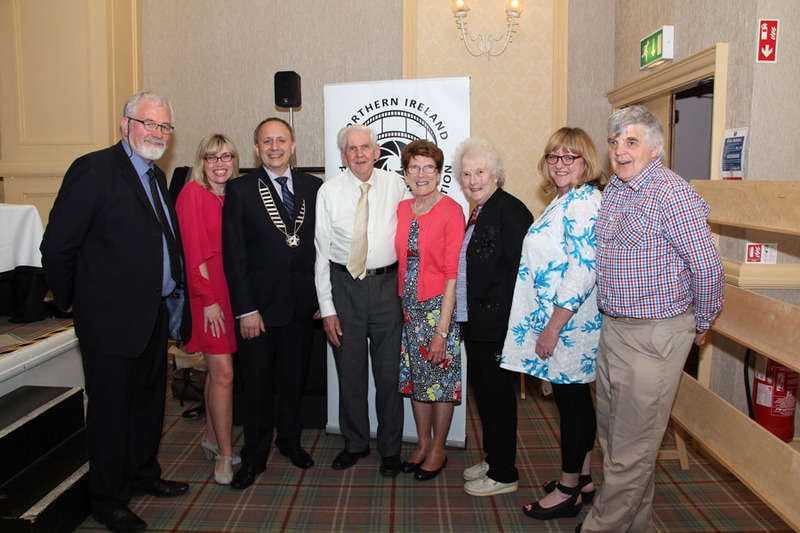 This was followed by talks from Anne Cassidy, Gabriel O’Shaughnessy, Pete Cairns, Rod Wheelans and Anne Greiner, with the appropriate breaks for refreshments. Pete’s talk on landscape, nature and wildlife photography in Scotland was so inspiring that we’ve selected it as the destination for our annual club trip this season. The evening continued with dinner, toasts and the presentation of awards. 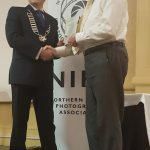 All NIPA clubs were asked to nominate any of their members who they felt should have their service to the club recognised in the form of an inaugural NIPA Service Award. 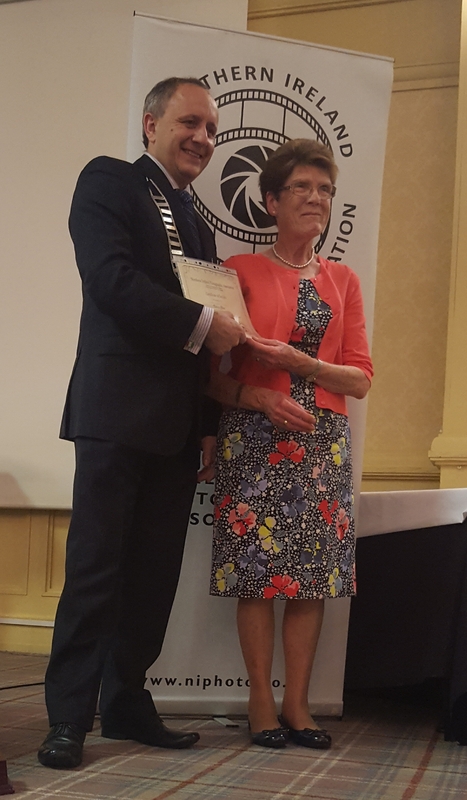 The committee duly submitted nominations and five CPA members – Vittorio Silvestri, John Hill, Frank Dunleavy, Helen Honeyman and the late Kieran Close – were honoured, with Kieran’s widow Mary collecting his award. Sunday began with the live judging by Anne Cassidy, Gordon Jenkins and Gabriel O’Shaughnessy of the Calumet Interclub Top Print and PDI Competition. Coincidentally CPA once again had nine images in the mix, from Paul Hanley, Robert Sergeant, Vittorio Silvestri and Ernie Patterson. 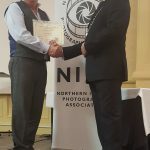 The honours for top colour and top mono print went to Darren Brown and Hugh Rooney from Bangor & North Down Camera Club, both of whom we’ve seen several times in CPA in recent seasons, judging as well as presenting their own work. 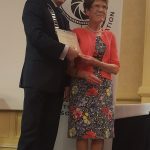 Our congratulations go to them both for being very worthy winners. 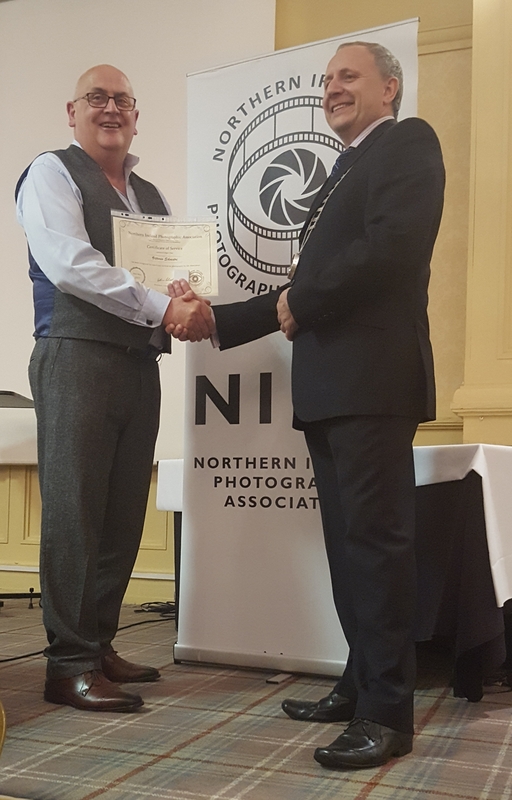 After lunch we had an insight into the PAGB Awards for Photographic Merit by Rod Wheelans. 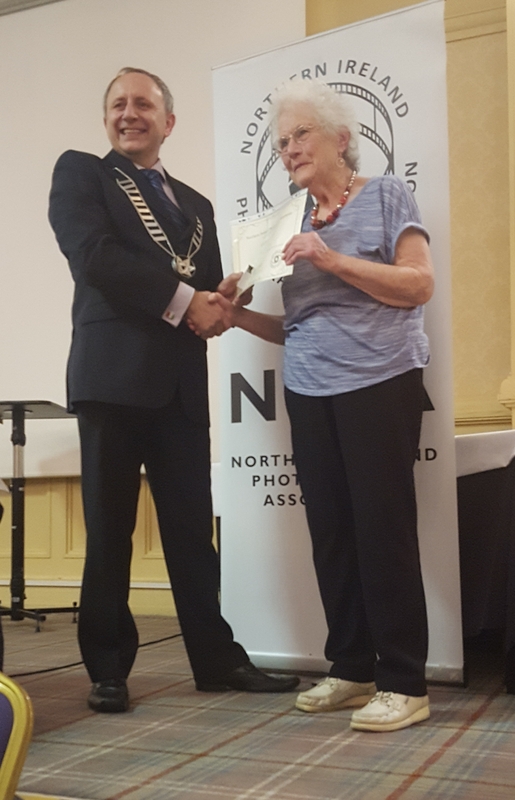 Those interested in applying for awards then attended a merit workshop at Bangor & North Down Camera Club, including Louise Borbely, Robert Sergeant, Helen Honeyman and Chelle McGaughey, where their images were critiqued by the assessors and useful advice given. 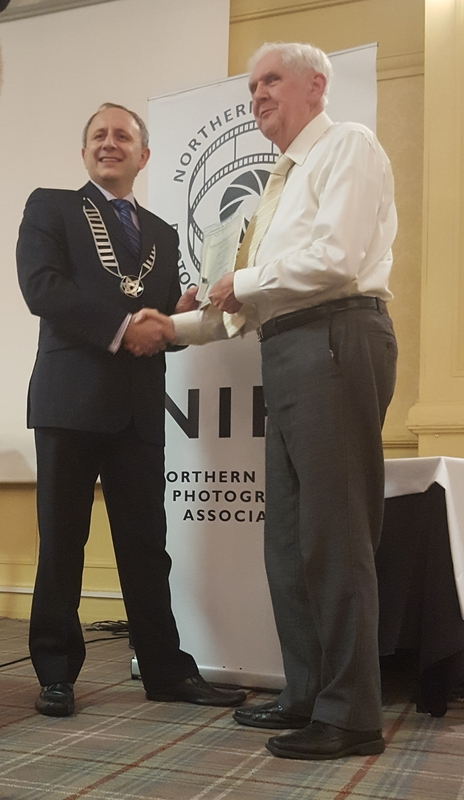 The weekend proved a very successful showcase for NIPA, and it was a pleasure to see so many CPA members not only in attendance but helping with the event, being honoured with awards and seeing their work displayed in both the Archive and the Top Print & PDI Competition. 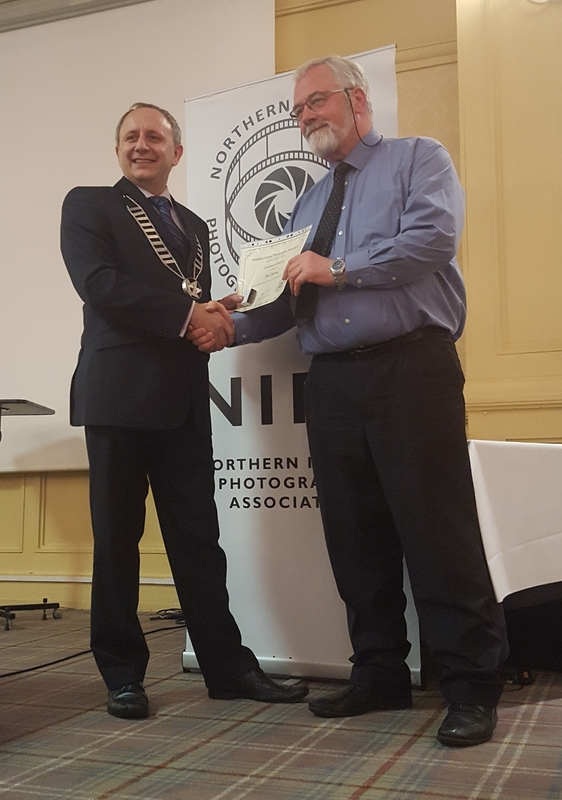 We wish NIPA many more years at the forefront of photography in Northern Ireland.